This is one of the better watercolour instructional books I have in my collection. David Webb is an illustrator who specializes in watercolour for over 35 years. In this 256-page hardcover, he shares his experience, techniques and also of other amazing artists. The book is written as a guide and thus assumes you have no prior knowledge. It talks about the tools, supplies, basic painting techniques and moves on to more advanced examples. There are several short tutorials that focuses on specific techniques. Basic art theory is also discussed in relation to watercolour painting, such as choosing composition, understanding perspective, using colours and more. There are also tips for specific subjects, like how to paint water, snow, shells, architecture, fabric, flowers, portraits and many more. The instructions are clear and easy to understand. One of the highlights of this book are the beautiful watercolour paintings included as examples. Those paintings make this book a wonderful reference, a book that I see myself refering to again and again just to be inspired by the artists and the medium. They have the same example pages on Amazon, but different hardcover and publisher. And I need to know is it the same book or not... Can you please help me with this? I've solve this question! I asked the author (David Webb) about this. 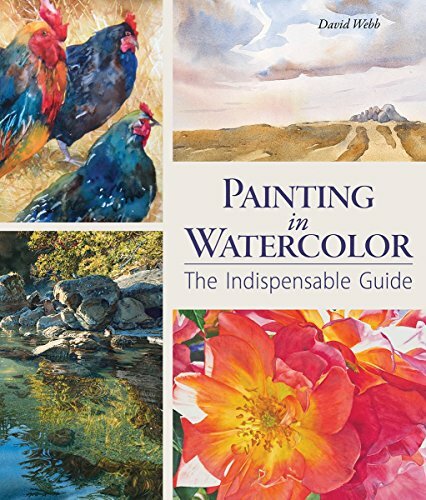 Here is his answer:" 'Painting in Watercolor: The Indispensable Guide' is the US version. 'Complete Guide to Watercolour: All the Essential Techniques and Skills You Need' is the UK version. Basically though, they are really the same book."